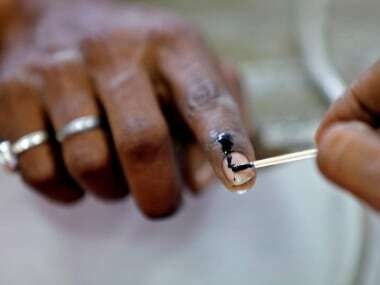 The elections to the 16th Lok Sabha will be held in seven phases across India, beginning from 11 April. The elections will be held for 543 seats at nearly 10 lakh polling booths across the country, while the counting of votes will take place on 23 May. Nearly 90 crore people are registered as voters, of which 1.5 crore are between the ages of 18 and 19. The current Lok Sabha's tenure ends 3 June. Simultaneous elections will also be held to the Assemblies of Arunachal Pradesh, Andhra Pradesh, Sikkim, and Odisha. The results for these elections will also come out on 23 May. Here is a detailed report on the date of elections and which constituency is voting when. Phase I polling for the Lok Sabha elections will be held on 11 April. Phase I polls will be held in 91 Lok Sabha or parliamentary constituencies in a total of 20 states. Here is a list of constituencies that will go to poll in phase I. Phase II polling for the Lok Sabha elections will be held on 18 April. Phase II polls will be held in 97 Lok Sabha constituencies spread across 13 states. Here is a list of constituencies that will go to poll in phase II. Phase III of general elections will be begin on 23 April in 115 constituencies across 14 states. Phase IV polling has been scheduled for 29 April. The polling will be held in a total of 71 constituencies of nine states. Polling for phase V election of the 17th Lok Sabha will be held on 6 May. 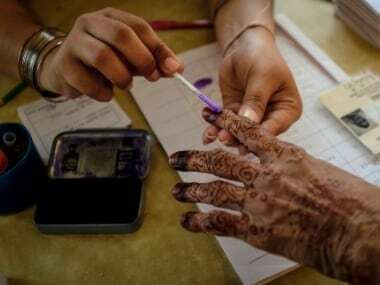 Polling will be conducted in 51 Lok Sabha constituencies spread across seven states. Phase VI of the Lok Sabha elections 2019 will be held on 12 May, 2019. 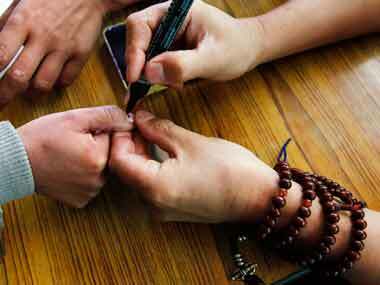 The polling will be held in 59 parliamentary constituencies spread across seven states. The final and last phase of polling for Lok Sabha election 2019 will be held on on 19 May. In the phase VII of the general elections, 59 Lok Sabha constituencies spread across eight states will vote. How to find your polling booth? The most basic unit of the electoral process in India is the polling station, where eligible citizens go to vote for their preferred candidate. For the upcoming Lok Sabha polls, the Election Commission has made arrangements for over 10 lakh polling booths across the 543 parliamentary constituencies in India. The ECI has set up about 1 million polling stations in the country, 10 percent higher than the last election. ECI guidelines say no voter should be more than 2 kilometres away from a polling station. These locations are often in remote areas with few facilities. More than 80,000 stations surveyed by the ECI lacked mobile connectivity, and nearly 20,000 were located in forest or semi-forest areas, according to data released last year. Go to the National Voters Service Portal website. On the extreme right hand side of the website, under 'Citizen Information', click on 'Booth, AC, PC'. Users will be redirected to a page with two tabs: 'Search by Details' and 'Search by EPIC Number'. Either option can be used to find the polling station. In the 'Search by Details' tab, users have to provide details such as their name, their father or husband's name, gender and date of birth or age before choosing their state, district and Assembly constituency from a drop-down menu. Alternatively, users can also choose to locate the geographical details on a map. Once done, they can complete the process by entering the captcha text and clicking search. In the 'Search by EPIC Number' tab, users have to enter their Election Photo Identity Card (EPIC) number, choose the state where their Lok Sabha constituency is located from the drop-down list and then enter the mandatory captcha text. After submitting the required information in either tab, users can get the exact address of their polling station. The information box also includes a "view details" button, that redirects users to a page with additional details, such as part name, part number and serial number. Voters can also find the name and number of the Booth Level Officer, District Election Officer and the Electoral Roll Registration Officer.